1. 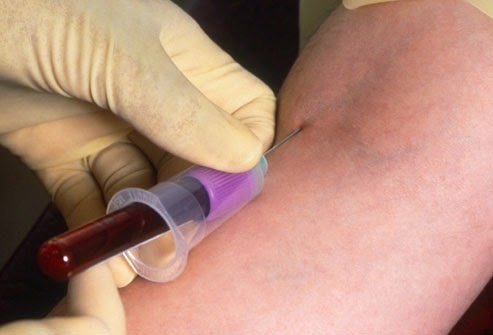 Blood tests which check for antibodies (ImmunoglobulinG (IgG) and immunoglobulin E (IgE)) are of questionable value in diagnosing the source of an allergic reaction. They just add to your cost and may even lead to inappropriate diagnosis and treatment. 2. If you develop a sudden onset of sinusitis (acute sinusitis), CT scans are of little help because the condition is caused by a viral infection which usually resolves on its own in two weeks. Antibiotics are not needed to treat uncomplicated acute sinusitis because less than two percent of acute sinusitis is caused by bacterial infections. 3. If you have chronic urticaria, also known as hives, ( where an itchy rash appears for a week or more) diagnostic tests are not usually helpful as a definite cause will often not be found in most patients. 4. If you have recurrent infections, unless you do not respond to vaccines, replacement immunoglobulin therapy is of little use. 5. If you have asthma, you need to perform spirometry, which is a simple lung function (breathing) test. Doctors sometimes don’t bother to order this test, and often rely solely upon symptoms when diagnosing and managing asthma, but symptoms may be misleading. Spirometry is essential to confirm diagnosis, identifying disease severity and monitoring control, so please ask for this.